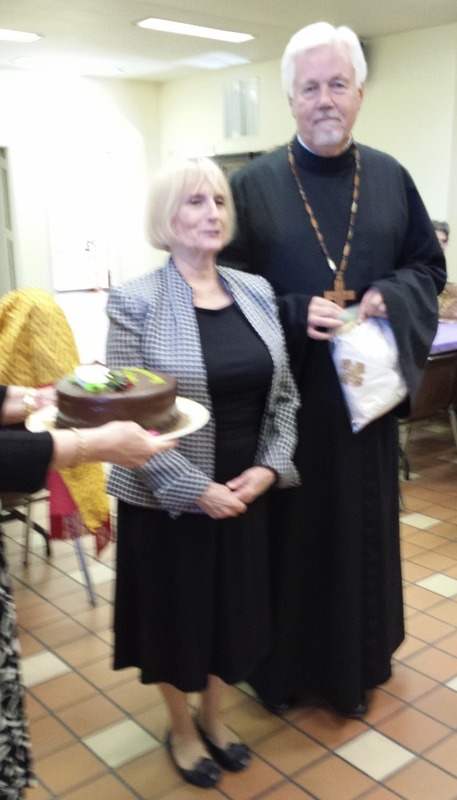 A celebration for the 44th Wedding Anniversary of Father Joseph and Charlotte Woodill was held after Sunday Divine Liturgy on 22 September by the faithful of Saint Nicholas Church in Whitestone NY. Refreshments, congratulations and a grand chocolate cake marked the occasion. 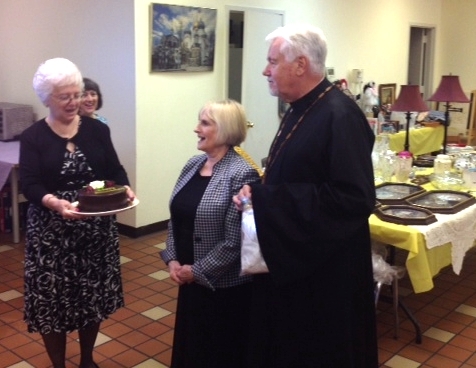 May God grant “Many Years!” to Father Joseph and Matushka Charlotte. Matushka Charlotte stepped out of the church school classroom long enough to speak of her love and gratitude for all of the parishioners. Father Joseph remarked that every morning and every night, in his prayers, the very first person that he gives thanks for is Charlotte. He noted that he was grateful that in all of his time serving at Saint Nicholas parish no one has ever in any way been anything but kind, and he hoped that such kindness would distract Charlotte from recognizing all of his shortcomings as a husband.